Going into the postseason, the St. Margaret’s cross country teams were both ranked No. 1 in their respective Division 5 polls and had been in or near the top spot all season. The Tartans left no doubt about those rankings on Nov. 17. 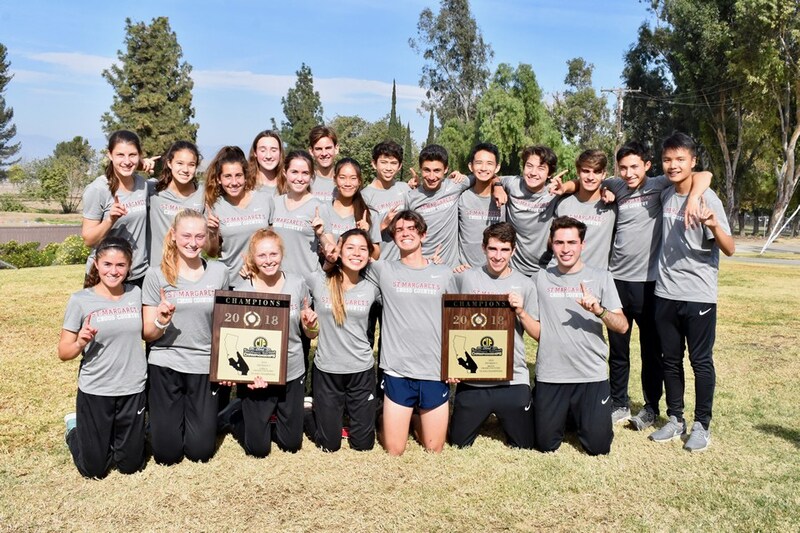 St. Margaret’s completed its first-ever cross country championship sweep with the Tartans boys claiming their first CIF-SS championship since 2012 and the Tartan girls earning their first title in school history at the CIF-SS Finals at the Riverside Cross Country Course. 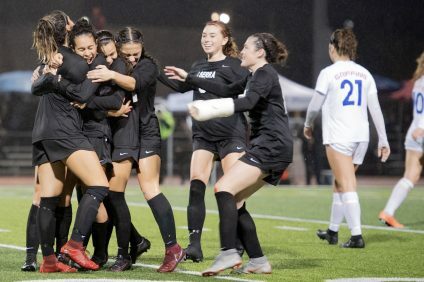 JSerra’s boys took home team and individual silvers, and the Lions’ girls also qualified for the State championships to round out the San Juan Capistrano contingent. 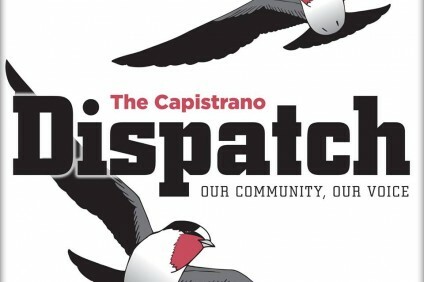 The State Championships will be run on Nov. 24 at Woodward Park in Fresno. On the boys side, St. Margaret’s dominated Division 5 with a 46-point win paced by an individual championship by sophomore Jackson Adelman. Adelman posted his second-best, three-mile time of the season to out-kick the pack by three seconds with a time of 15:31 to take the individual gold. 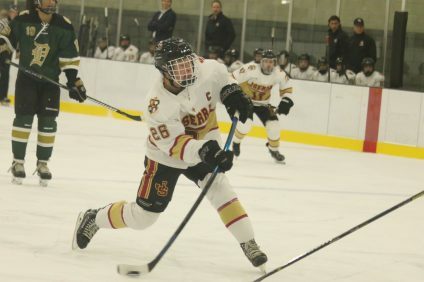 Adelman was named First Team All-CIF. Senior Robbie Graham also ran his second-best, three-mile time of the year to finish in 11th at 15:58 and earn Second Team All-CIF honors. Senior Christopher Chan posted a personal-best time of 16:24 to finish 20th and was named Third Team All-CIF. Senior Matthew Colglazier and sophomore Calvin Capelle finished side-by-side in 26th and 27th at 16:34.2 and 16:34.4, respectively, to fill out the Tartans’ scoring five. Things were tighter on the girls side for St. Margaret’s, but they pulled out the team title win, 78-89, over perennial power Flintridge Prep. Senior Andi Carnell led the Tartans with a third-place finish and First Team All-CIF honors at 18:24. Junior Charlotte Jones also earned All-CIF honors on the third team with an 18th-place finish at 19:28. Sophomore Claire Mullen finished in 22nd at 19:30, and senior Julia Martin and junior Shea Hueston finished back-to-back in 25th and 26th at 19:33 and 19:37, respectively, to round out the scoring five. In Division 4, the JSerra boys posted a strong day at the top but couldn’t top a scorchingly dominant Laguna Beach run for the team title. Laguna Beach posted all five runners in the top 12 to win by 92 points. As always, senior Peter Herold and junior Anthony Grover set the pace for the Lions. Herold took silver with a season-best 14:58, and Grover took fourth at 15:13. Both were named First Team All-CIF. The JSerra girls took the seventh and final team State qualifying spot in Division 4. Senior Nadia Tabrizi led the Lions in 22nd at 18:36.